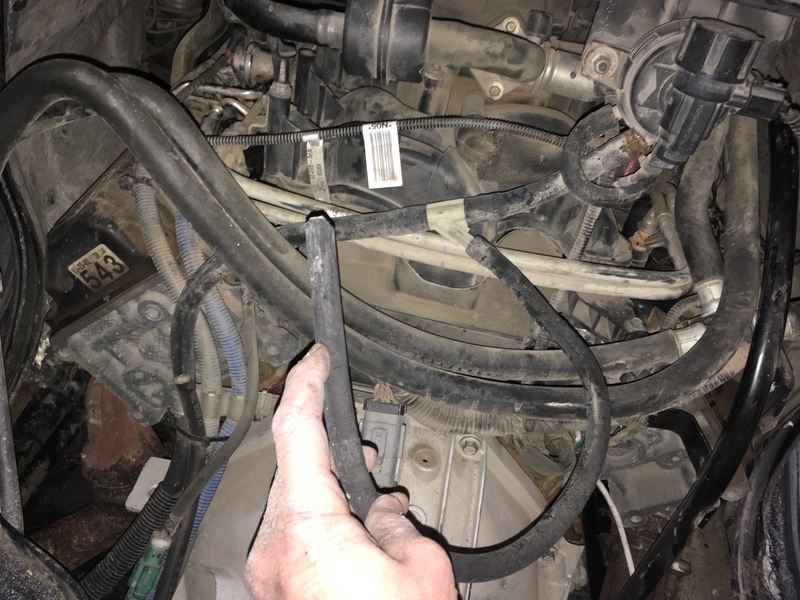 I was replacing the coil packs on my van today. Was working on number 4 had had to move some hoses a bit. The next thing I see is what looks like a vacuum hose that has one free end that I am holding in the photo. I looked and could not see a port to plug it into. Anyone know where it goes? I might be able to visit my '05 in the shop this morning and snap a photo or two of where that bugger runs to--I've seen it but for the life of me can't remember where it goes. If someone has an answer before I return that's good too---don't wanna keep you waiting too long Larrie. Spent part of the day looking for the hose connection point and could not find it. After lunch got the nudge to look through the factory service manual. After paging through several sections I got the the one on evaporative emissions and there was a sketch of the hose. Turns out it is the EE test iine. It is suppose to tie into the EE test port that is mounted on the transmission dipstick tube. Only problem is that my van does not have the test port. There is the mounting bracket but no port. I put a bolt in the open end of the tube and re inserted it in its mounting clip. Van runs just fine. Will add the test port to my list of junk yard items to look for. Glad you sorted this out to your satisfaction Larrie----I was severely swapped with work and couldn't make it where my later model van is in for repairs.